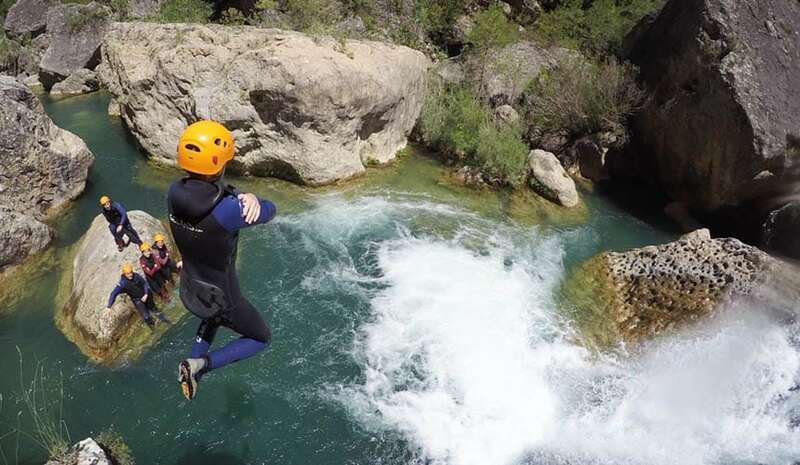 Enjoy a Canyoning Adventure Tour in Cuenca, close to Madrid. Explore the course of the river through waterfalls, slides and jumps in a unique natural scenery. 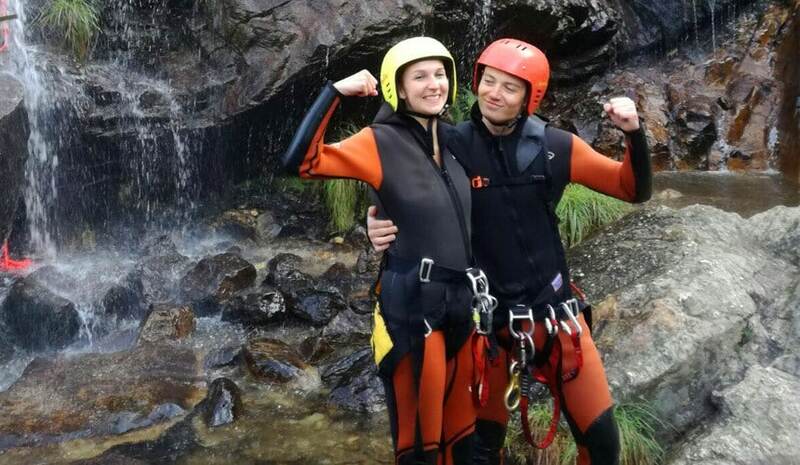 Share a refreshing, fun and exciting water activity. 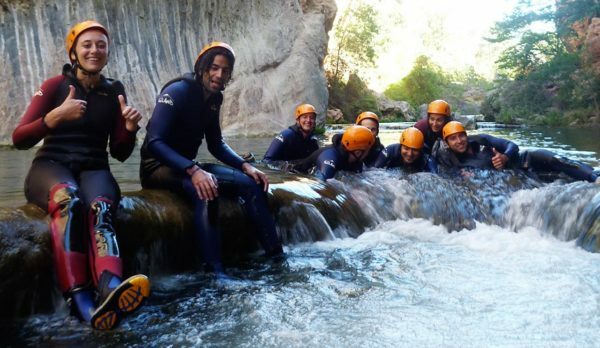 Enjoy Canyoning in Cuenca, a water Adventure Tour close to Madrid with Dreampeaks. Transport Included. The Canyoning tour of Júcar River in Cuenca is a refreshing, fun and exciting water activity in which we will follow the course of the river through waterfalls, slides and jumps in a unique natural scenery of limestone cliffs. 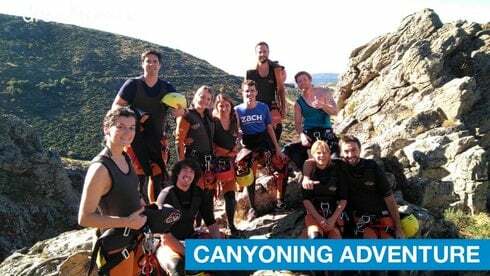 This activity is suitable for adventureous people and is led by professionals guides so that participants can safely enjoy one of the most exciting water sports close to Madrid. 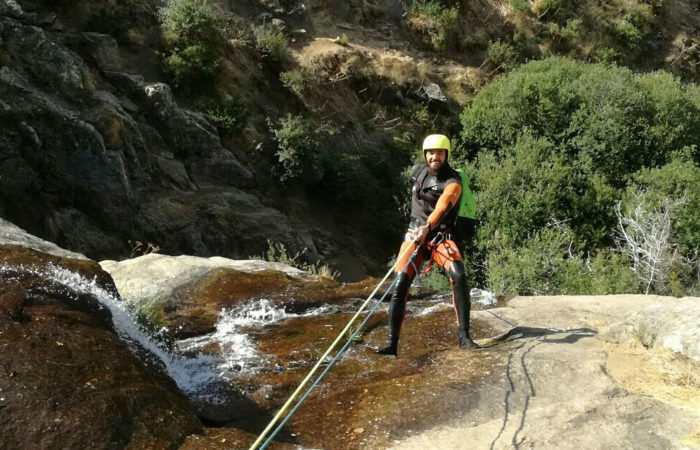 Individual Canyoning Equipment: helmet, neoprene wetsuit and thin neoprene socks. Optional picnic pack available on demand: 15€ per person. (Vegan or special food upon request). 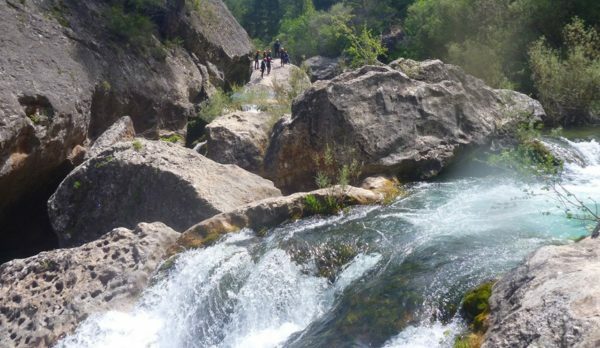 -This tour involves sections through river course, flowing water and wet slippery rock. 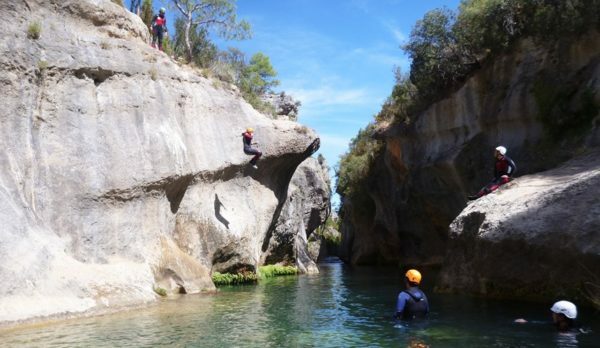 -Children form 10 years old.